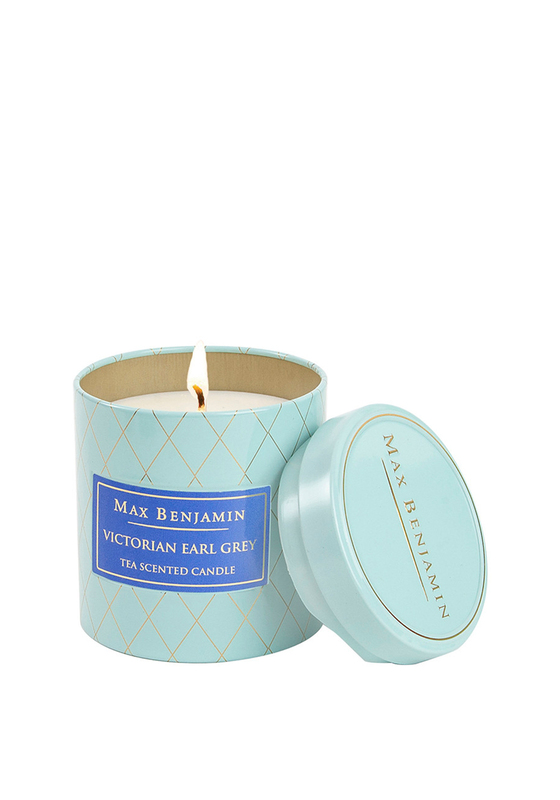 Feel clam and cleansed at home with this wonderful Victorian Earl Grey candle from Max Benjamin. Created with a beautiful fragrance featuring notes of peppermint, eucalyptus leaves and bergamot. Place in any room and let it fill with the welcoming aroma. Max Benjamin is low in allergens and alcohol free.